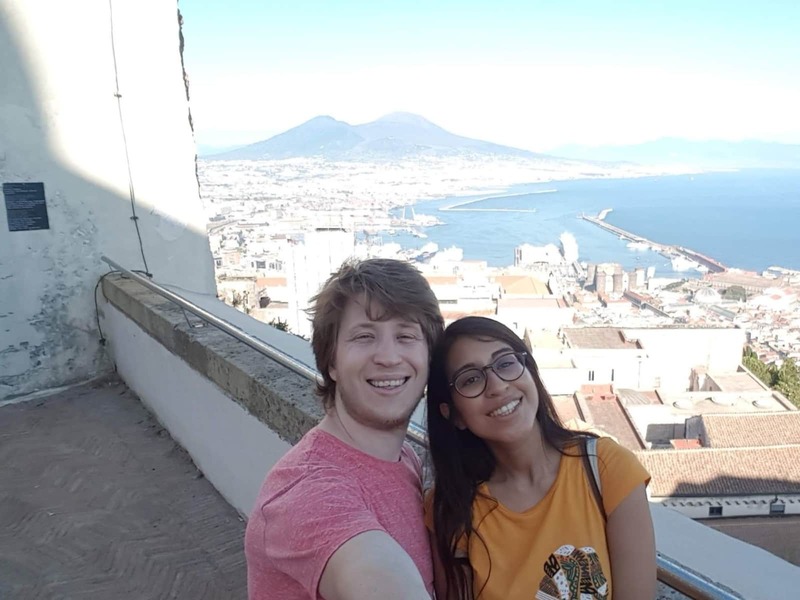 We are Cristina and Benoit, a young couple who loves furry friends and travelling. I, Benoit, am from Belgium and I work as a freelance software developer, usually from home. Recently I discovered I love photography, so during my free time I like to take walks and shoot whatever I find around. I'm a convinced cat-lover and, as long I can remember I've always been surrounded by cats at home. Cat purring is the perfect melody to fall asleep. Cristina is from Spain but her family is from Peru, so she has a mixed culture which got her to love travelling and knowing about other cultures. Her love to animals drove her to become vegetarian and, even if it was a hard thing at the beginning, she feels very proud of herself and now is used to find delicious alternatives to her daily meals. Cristina is involved in graphic design studies as she's trying to turn her life around. We have a cat whose name is Michi and who was rescued from the street when she was just a few weeks old. She was infested with fleas and in a bad shape. We took care of her, bottle fed her and gave her a home. She became a big healthy cat. In 2018 she turned 7 years old and she has become our little darling baby-girl =). She has a strong personality and she doesn't always want to be cuddled, but when the winter arrives, she comes near us to get a warm hug and curl up in a blanket. In 2019 we are planning to go for a new adventure. 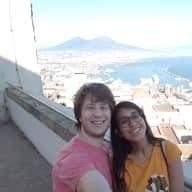 We wanted to begin a Digital Nomad lifestyle and travel all around the world. This is how we came across the possibility to do house/pet sitting. For us, this is just the perfect way to achieve all our goals as it mixes our passion for pets, visit new countries and learn new cultures and languages; while allowing us to stay and work from the comfort of a place that feels like home at the same time. We like to travel on a slower pace and like to try to live as locals instead of "traditional tourists". We think that house/pet sitting is a great way to achieve that and also to get to know new people and make new fur friends. We also have a cat, Michi, and she is lucky enough to have someone to stay with her when we are away. We understand that is is not the case for all her fellow pets all around the world and we don't like the idea of them being in kennels/catteries, so we'd like to offer a way for them to stay where they should be: home. We started house/pet sitting in 2019. We both work online which gives us the opportunity to travel at the same time. This also means that we spend most of the day at home, allowing us to keep company to the pets we sit; giving them all the attention they need. Benoit looked after Tina for 10 days this February despite some unforeseen family issues. Benoit and his partner Cristina were great at communicating and agreed to have a skype call well ahead the sit. Benoit arrived a day ahead of the sit in Liverpool, and then sent me regular updates and pictures during the sit. He was very good at reacting to a stressful situation with Tina, who was sick. 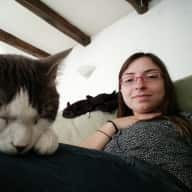 Tina was very well looked after, she liked him immediately, and I believe she spent a long time on his nap =) The house was spotless when I came back, and I also found a very nice Belgian chocolate box waiting for me! I would not hesitate to ask Benoit to look after Tina again, highly recommended! Thank you! I have been working with Benoit for 5 years and he is wonderfully and helpful. I can always trust that Benoit is available, and that means I feel very safe. The cooperation has now lasted for 5 years and it will continue for many years to come. I can only recommend Benoit. 10 stars from me if that was possible. Benoit and Cristina are great guests, we communicated very smoothly, and they put everything in order before they left. I will recommend them to all other hosts.